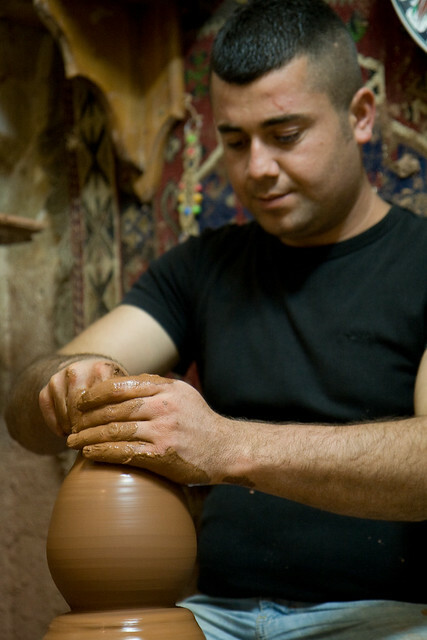 Avanos is a 10-15 minute drive away from Uchisar. 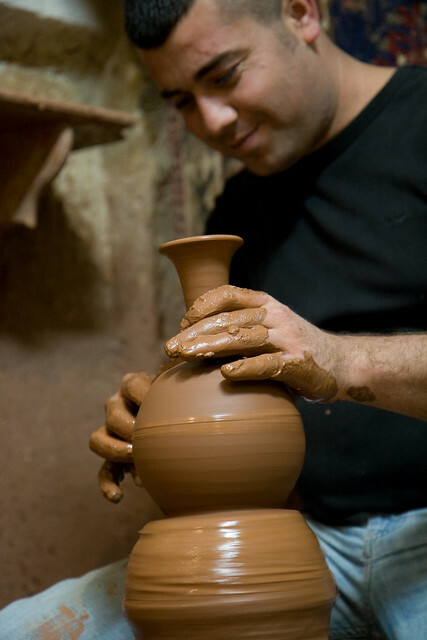 It's also famous for pottery making and ceramics. I was adamant about bringing a souvenir back from Turkey. Admittedly, I've developed a strange fixation for hand painted plates. Lil Bro randomly walked into a store while we were in Goreme to ask for a recommendation. There were a couple to choose from in Avanos. Prices are rather subjective. If you're part of a tour, you get a 30% discount. However, if you came on a recommendation from a local, you get anything up to 65%. Interesting. 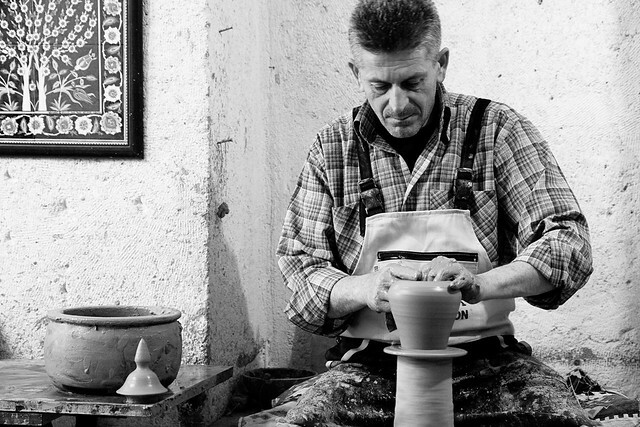 A lot of these ceramic houses are owned by families where generations after generations have been making pottery. Internship begins at the age of 10. It takes at least 20 years to be considered a master. Some of the owners I'd talked to said that they were the 6th generation to take over the business. Lil Bro and I admire the salespeople. 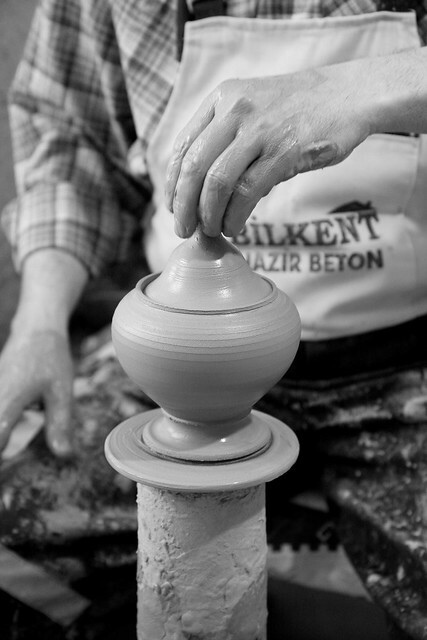 They were patient and explained each process of ceramic making in detail. We were shown the workroom where individual item was painstakingly hand painted. It takes anything from 3-9 months to complete one single item. 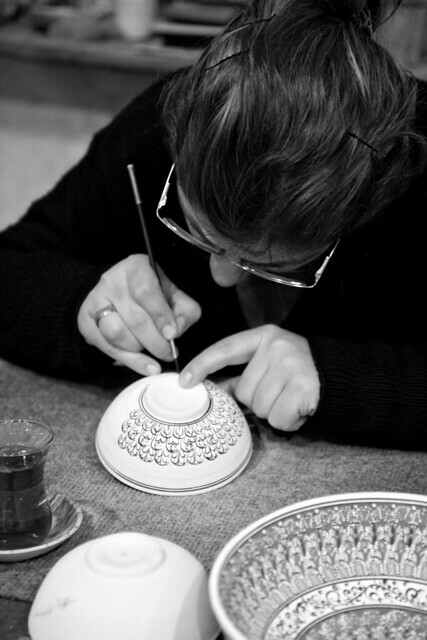 The trainees, on the other hand use stenciling on cheaper ceramics. This is evidenced by the uniformed horizontal strokes which is glaringly different from free hand painting. I have a tendency to veer towards the most expensive plates (!) which I can't afford. These aren't cheap. Some of the larger bowls cost at least £300, bearing in mind that this is the discounted price! I couldn't justify forking out such a large sum when there are constantly little kids at my place. I'm told this is called free hand-painting where the artists use their own imagination to design the ceramic. 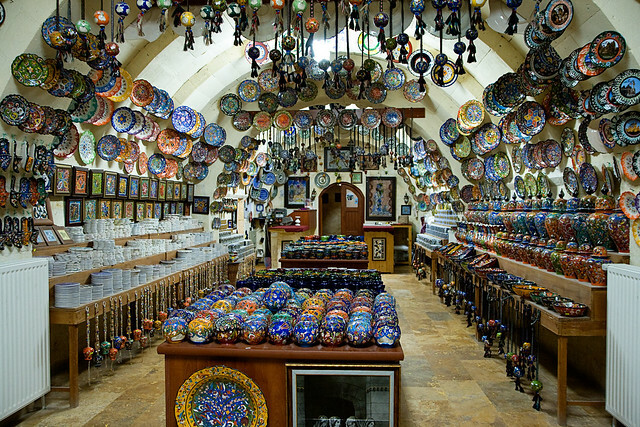 This is the "cheap" ceramic room where most tourists tend to be taken to. Katherine, these salespeople are smart. They take you straight into the "museum quality" room and after an hour of waxing lyrical about their gorgeous wares, they then herd you into the "tourist room". I got sucked in and bought one of the more expensive pieces. ^ that's totally what I would do too....enjoy your new piece! I'm sure it's stunning. Thanks, Katherine. I'll photograph the souvenirs next week.